Photography Blog has reviewed a more serious photo printer that is able to make A3+ prints. The printer is called Epson Stylus Photo R3000 and uses Epson UltraChrome K3 with Vivid Magenta Ink technology. Let us hear if this printer suits us photographers. Photography Blog ends up giving the R3000 printer a “Highly Recommended” rating and an overall score of 4.5 stars out of 5 possible. The Epson printer scores highest on image quality and design where it gets a perfect score, and a little lower on features, ease of use and value for your money. The R3000 seems to be a better printer than the previous in this line from Epson. It has more features, better design and is easier to use. If you are looking for a photo printer that makes excellent photos this might be your choice. Read the full review of the Epson Stylus Photo R3000 A3+ inkjet printer here. Photography Blog has reviewed a travel-zoom camera from Nikon. The camera is called Nikon Coolpix S9100 and features a nice wide angle zoom lens that starts at 25mm. It also has a 12 megapixel back-illuminated CMOS sensor. Photography Blog ends up giving the Coolpix S9100 a “Highly Recommended” rating with an overall score of 4.5 out of 5 possible stars. The Nikon camera scores highest on value for your money, design and features, and a little lower on image quality and ease of use. If you are looking for a travel zoom camera this one from Nikon is one of the best in this marked segment. One negative side that more serious photographers might miss is the lack of manual controls. 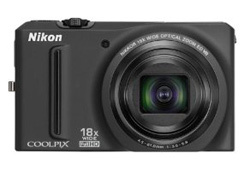 Read the full review of the Nikon Coolpix S9100 travel-zoom camera here. 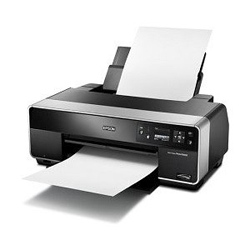 PCWorld has tested a budget printer from Canon. The Canon printer is called Canon Pixma MX360 and Canon claims it is able to print 4×6 borderless photos in about 43 seconds. PCWorld ends up giving the MX360 an overall rating of 3 out of 5 possible stars which is not all that good. On the positive side the reviewer finds aspects such as fast draft mode, the quality of text prints is pretty good and it has an Automatic Document Feeder (ADF). On the negative side there are points like no automatic duplexing, the ink is expensive and you get no wireless printing. If you are not the biggest print user the issue with expensive ink should not affect you. 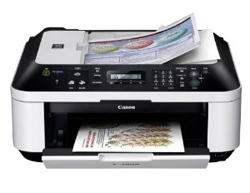 Read the full review of the Canon Pixma MX360 All-in-One printer here. 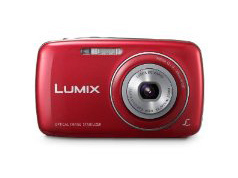 Photography Blog has tested a budget digital camera from Panasonic. The camera is called Panasonic Lumix DMC-S3 and comes with over 14 megapixels and lens that starts at 28mm which is pretty wide. Photography Blog ends up giving the S3 a “Recommended” rating and an overall score of 4 out of 5 possible stars. The Panasonic camera scores highest on value for your money where it gets almost a perfect score, a little lower on design, ease of use and image quality, while it scores lowest on features. The reviewer finds the price tag of the Lumix DMC-S3 to be very nice and it is able to produce pictures of good quality. In addition the camera has a stylish design and it is easy to use. If you are looking for a cheap and capable compact camera this might be your choice if you are not looking for too many fancy features. Read the full review of the Panasonic Lumix DMC-S3 digital camera here. Get the latest updates from the world of digital cameras.